Swachh Bharat Abhiyan – A Cleanliness Drive. “Sanitation should not be seen as a political tool, but should only be connected to patriotism and commitment to public health.” – Narendra Modi. The CBSE has taken the initiative to implement a cleanliness drive in all schools, whose result would be an overall rise in health and personal well-being. 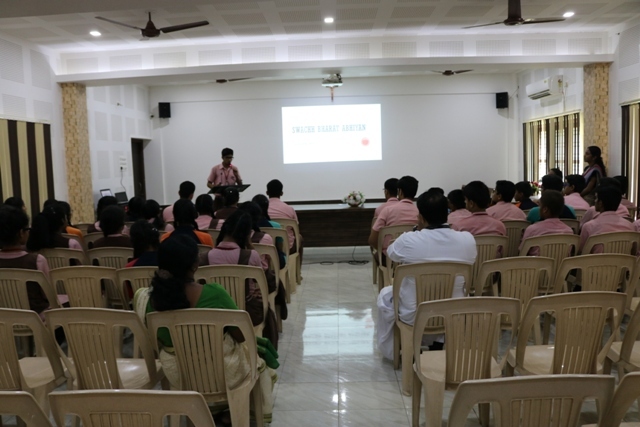 A Meeting for the cabinet members was held on 6 th September 2017 to bring a change in the vicinity of our school. The programme commenced with a prayer song. 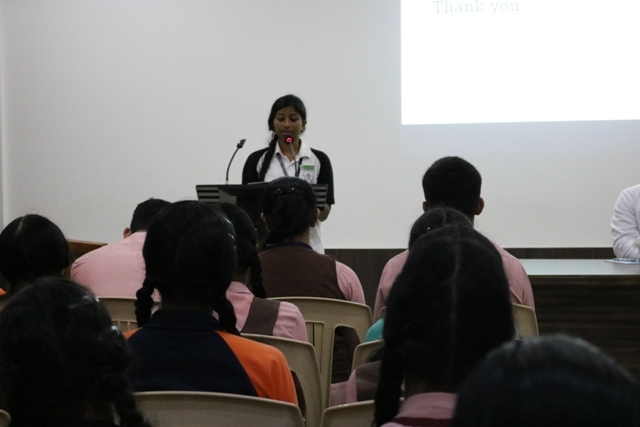 The head girl Meghana Kashyap welcomed the gathering. 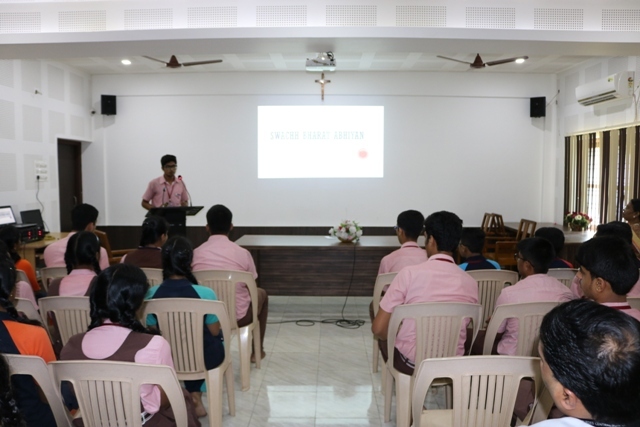 The Information Minister, Rodney of Class XII C presented slides on Cleanliness to bring awareness to the students about hand washes, neatness of classrooms etc. 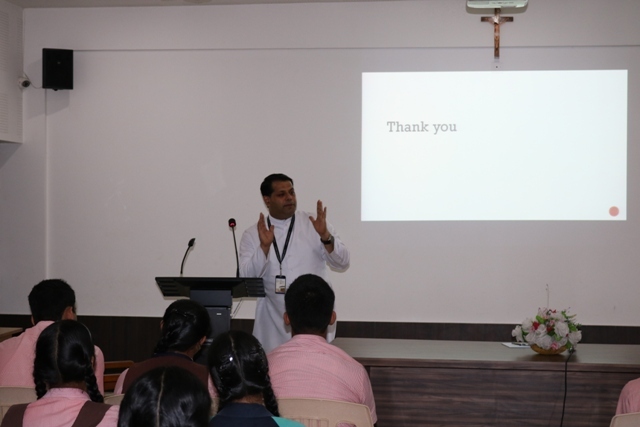 Ms. Harshitha Shetty enlightened the students by insisting them to motivate other students to follow basic rules of welfare such as using a napkin, wearing well pressed uniform, arranging books neatly in the rack etc. The Principal Rev. 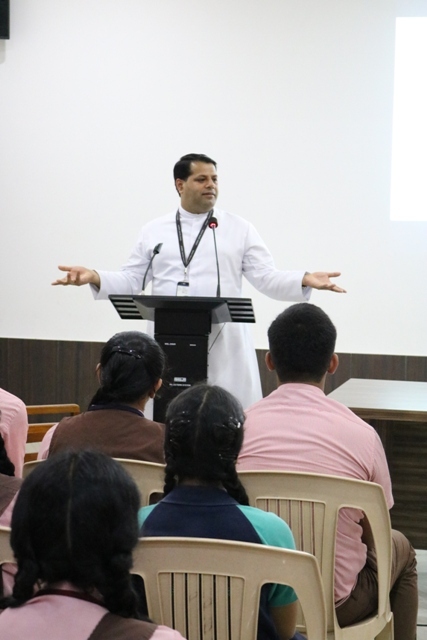 Fr Robert D’souza addressed the students on keeping the classrooms clean. 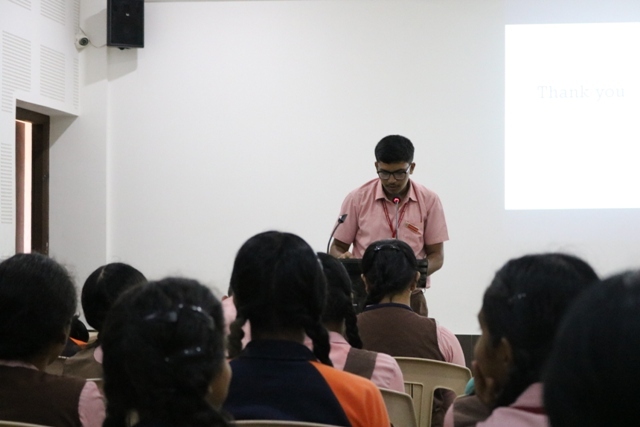 He stressed that it is the responsibility of every student to take care of personal hygiene and also to continue maintaining cleanliness throughout their lifetime and it should not end this fortnight of Swachata. He also said children are provided with clean drinking water and washrooms are cleaned thrice daily and mopping of the floor is done every day by the auxillary staff members and therefore cleanliness is maintained in our school. 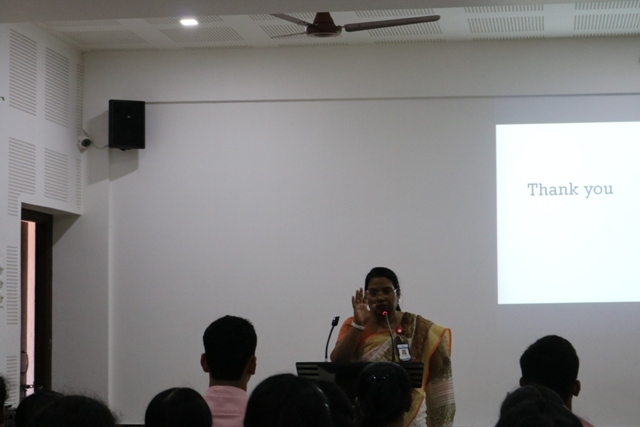 The Vice Principal Mrs Belita Mascarenhas gave tips on Cleanliness. 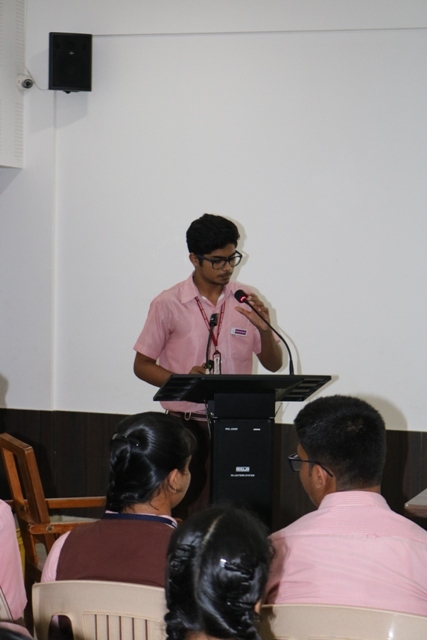 The Meeting concluded with the vote of thanks by Sonali Umanath of Class XII. Joyston of Class XIIC compered the programme. 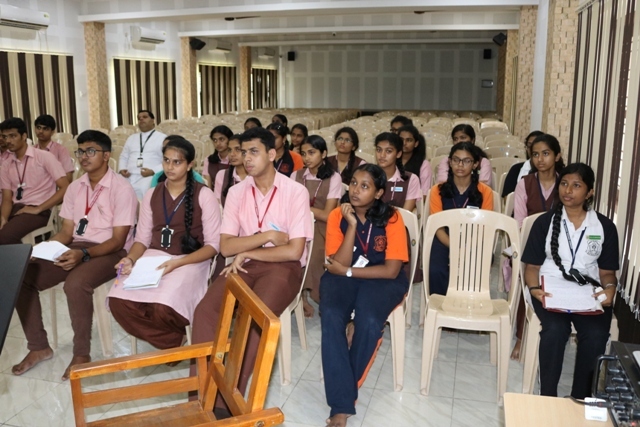 Ms Anita Thomas and Ms Harshitha Shetty were the incharge of this programme.